Slot machines have been at the forefront of Casino games for a very long time. These machines have been around for several hundred years and people have preferred them for many reasons. Slot machines have a very interesting history and evolution process. In the 21st century, the machines are still undergoing some changes with the advancement of technology. The popularity has not waned however as they continue to draw some of the biggest revenues in Casino gaming. In order to understand what slot machines are all about, we need to look at the background of the machines. The following is a quick look at the history and evolution of slot machines. In 1891, Sittman and Pitt made the first ever gambling machine. The concept of the slot machine did not exist at this point in the 19th century though and the machine that was invented by these two inventors was quite different from the modern slot machines. Sitmann and Pitt actually invented what would be similar to the poker machine in the modern day. The invention nevertheless was the chief foundation for the future slot machines. 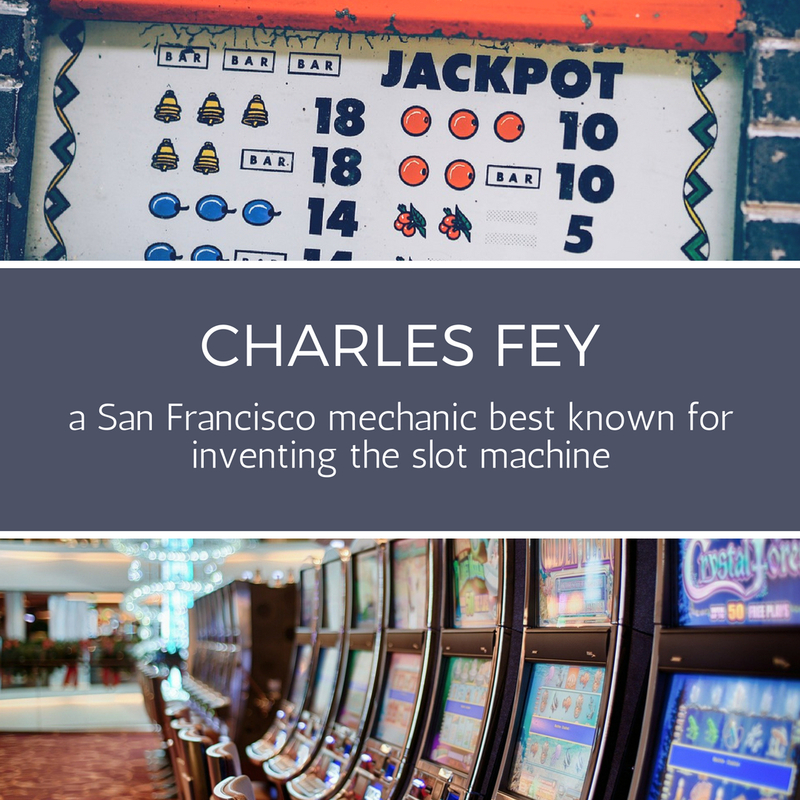 About four years after the introduction of this machine to the markets, Charles Fey came up with an actual slot machine that featured automatic payouts. Charles Fey’s machine also brought the concept of symbols when indicating payouts. Most people, therefore, consider the 1895 machine by Charles Fey to be the most complete embodiment of the modern slot machine. The success of the invention was so huge that virtually every other machine that came out during this period was almost a replica of Charles Fey’s work. Fey eventually opened a slot machine factory as a result of the success of his original work. The factory produced many “Liberty Bell” machines, as these slot machines were called before the 20th century marked a new evolutionary era. The 20th century is without a doubt the period that has had the most profound impact on modern slot machines and the gambling industry as a whole. To start with, slot machines evolved from bulky mechanical machines that were operated manually to electronic machines. During this period, gambling laws also changed a lot. People also got around trying free slots online for the first time. Slot machines evolved from devices that would dispense sweets and chewing gum to machines that would give out instant cash prizes. The development and dominance of online slots, without a doubt, is unshakable in the 21st century. But the roots of this growth lie deep in the 1990’s. During this time, the first gaming software programs were developed and they helped power online slots. Various companies would venture into developing flawless user experience where gaming online became more intense with fewer instances of lag over the years. At the turn of the new millennium, online slots were ubiquitous and they virtually represented the ideal slot machine experience. In short, the evolution of slot machines in the 20th century can be summarized in some key changes through the years. 1907: During this year, slot machines made a comeback after being outlawed 5 years earlier. The new machines however only dispensed items like sweets. These machines also introduced the fruit symbols that have been synonymous with slot machines. 1963: This year marked the start of electronic slot machines. The first ever electronic slot machine was created by Bally. The machine was not fully electronic though. Spinning the reel was specifically still mechanical even though the reels themselves were electronic. The mechanical levers were nevertheless dropped after a short while. 1976: The first ever video slot in a machine was introduced in this year by Fortune Coins. This machine was very popular in Las Vegas, being adopted in most hotels in the city. 1990’s: The 20th century culminated with the introduction of the very first online slot machine in 1994 followed by the introduction of a bonus round second screen in 1996. The 1990’s ultimately marked the proper introduction to modern slot machines. The 21st century is usually referred to as the internet age. The internet has come full circle in recent years and the innovations made over the past 20 years are unfathomable. The 21st century has already seen the introduction of 3D technology and thus 3D slot machines. These machines are created to make the video slot machine as realistic as possible. Enthusiasts can access the machines online via their own machines or at dedicated casinos. While some of the most radical changes to slot machines happened during the 20th century, new technology has proven that the evolution of gambling machines is set to continue. The popularity of slot machines has not changed even after so many radical changes. Technology has not stopped evolving and new innovations are being introduced every year. The slot machine evolution is thus not yet over.